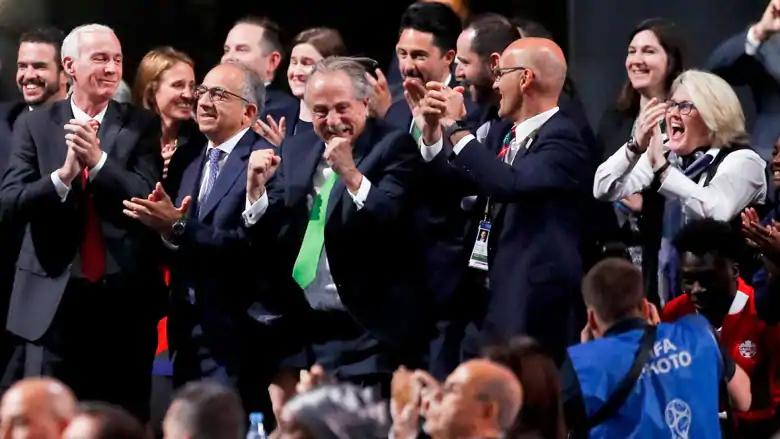 CONCACAF, with its president — Canadian Victor Montagliani — playing a key role in the bid, called the vote a “monumental victory” for the confederation, which covers North and Central America and the Caribbean. “It’s an opportunity to bring the world together and highlight how well things work between Canada, Mexico and the United States,” Prime Minister Justin Trudeau said. The two rivals’ bids each got 15 minutes to make one last pitch Wednesday, with the North American pitch going first. Davies’s parents fled their home in Monrovia, Liberia, to escape a civil war. They ended up at a refugee camp in Ghana, where Davies was born. 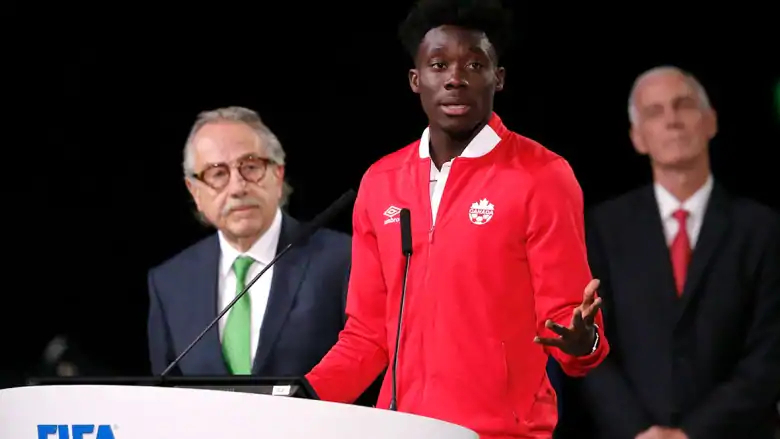 “Today I’m 17 years old and I play for the [Canadian] men’s national team. And I’m a proud Canadian citizen. 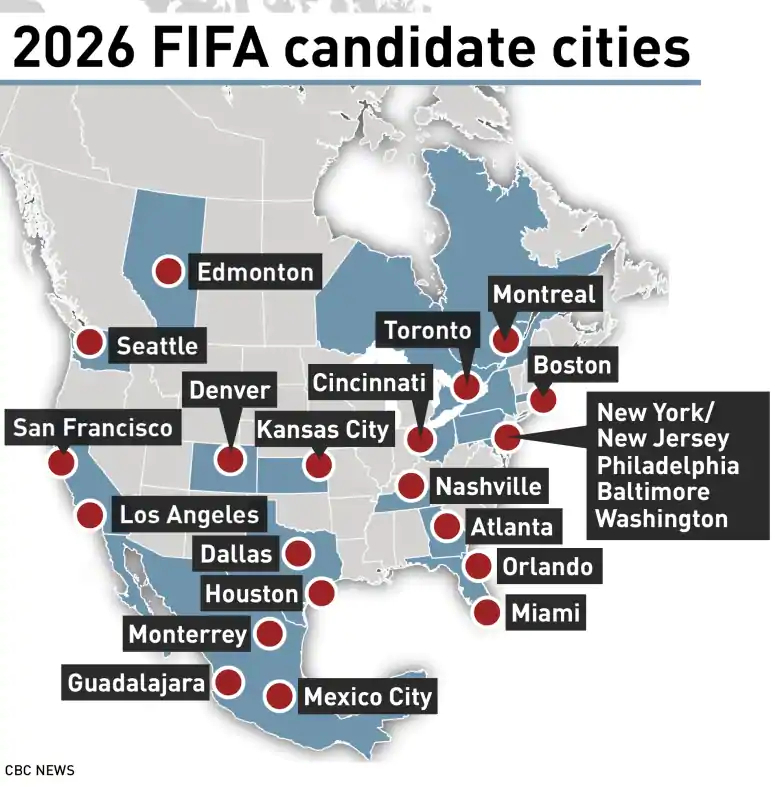 And my dream is to some day compete in the World Cup, maybe even in my home town of Edmonton. “We expect record profits for FIFA of $11 billion [US],” said Cordeiro, perhaps hitting the key button. In rating the risk assessment of both bidders, with grades of low, medium and high risk, FIFA’s own bid evaluation report gave Morocco three high-risk grades (stadiums, accommodation, and accommodation and transport), 10 medium and seven low.